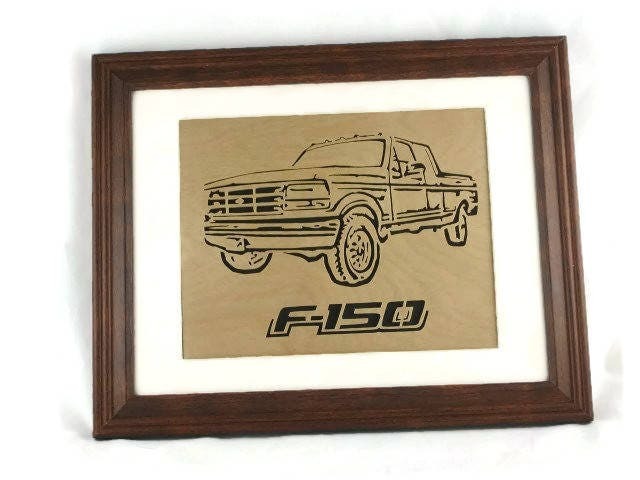 If you or a friend are a Ford F-150 truck enthusiast then this awesome handmade wood art portrait is perfect item to get for yourself or a friend. 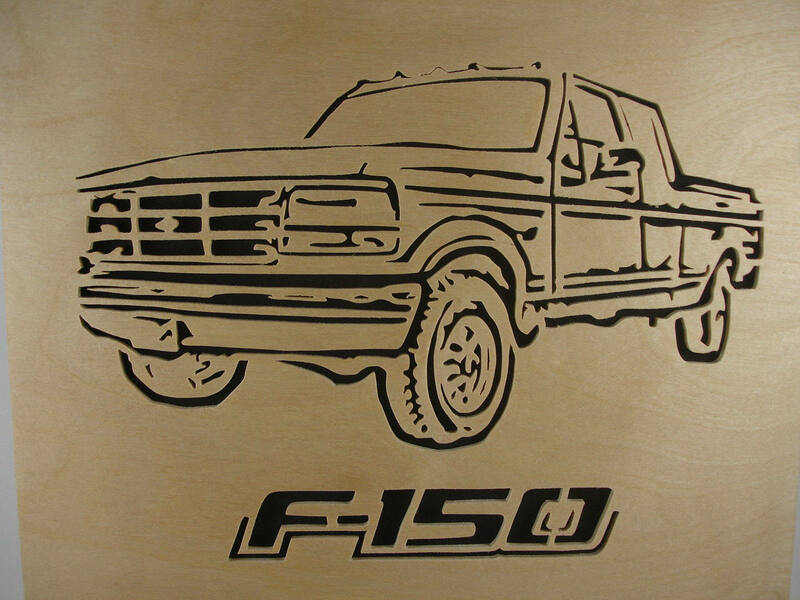 Perfect for hanging in the shop office, home, or man cave. 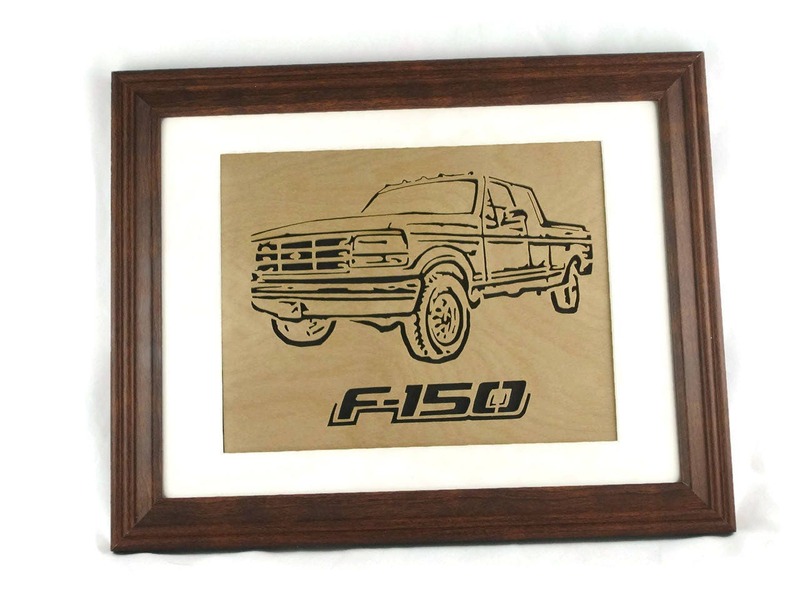 This Ford F-150 wall hanging art features a very detailed wood cutting of a 1992 - 96 F-150 Style Truck. Truck portrait is of the extended cab version with a long box. 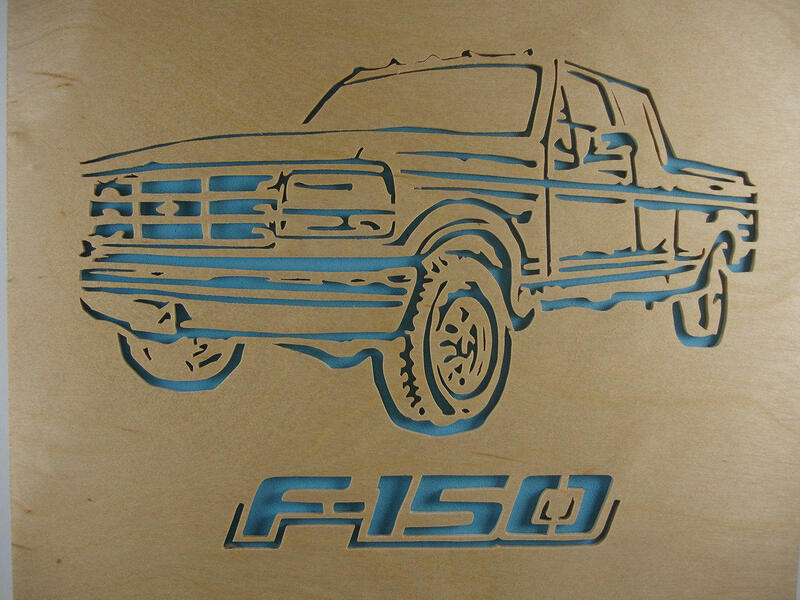 Down below the truck cutout features the F-150 cutout. To bring out the beautiful detail of this portrait we glue a black or blue foam sheet to the back.. Other colors are optional as well.. 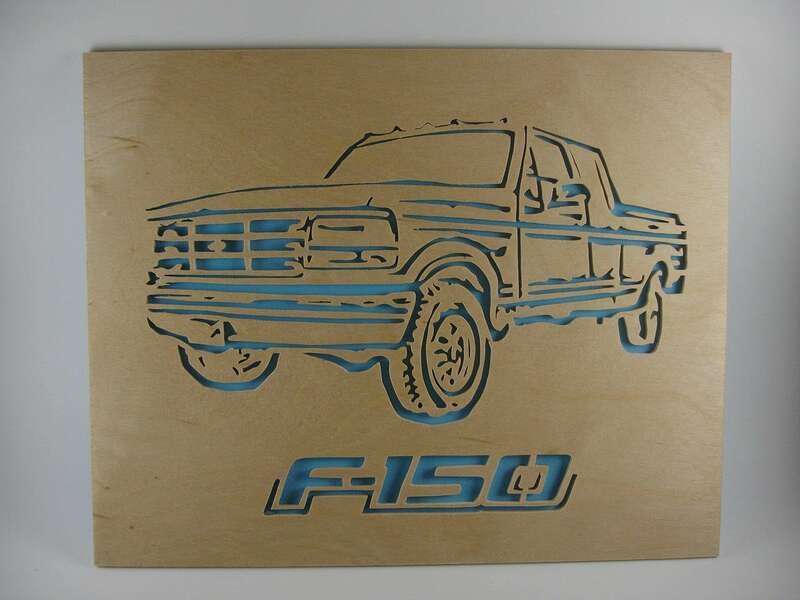 This handmade portrait was cut out by hand ( handmade ) with a scroll saw and is made from 1/8" thick x 8" x 10" Birch plywood and is treated with 3 coats of Polyurethane clear spray. A foam sheet is glued to the back to bring out the detail of the cutting. PLEASE NOTE: Frame is not included in the sale of this item and is for display purposes only.. Very cool! Looks awesome in my son's room! !